40 Year Old Mother Of 2 Runs a 3:24:57 To Qualify For Boston | JustRunLah! From Taiwan, Tan (陳淑娟) 40 years old with 2 kids, but she had a dream. She had the Boston dream. She is the epitome of it is never too late to start. She started running late, but that did not mean she could not hit her dream. She believed that although she started late, with determination and perseverance, she would be able to run a Boston Qualifying time. She said believing in yourself is more important than a hundred other people believing in you. She believes that you should never underestimate your ability – because if she can, everyone can too. The Boston dream isn’t just about running the Boston Marathon. It’s a journey. It starts with a race, and can become many races (if you fail) – in hopes of running a Boston Qualifying time. Hitting the mark is not a guaranteed acceptance. Only the fastest applicants will be accepted to run the race. This year Qualifiers who were 3 minutes, 23 seconds (3:23) or faster than the Qualifying time for their age group and gender were accepted into the 2018 Boston Marathon. So, you can rest be assured that if you are running the Boston Marathon, you are running amongst the best. 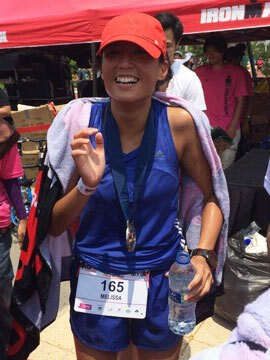 She ran the beautiful Tarako Gorge Marathon and surprised herself with a personal best of 3 hours 38 minutes. She had hit her Boston Qualifying mark for her age group. However, given that only the fastest timings would be accepted, she was worried a 3 hours 38 minutes would not be good enough. 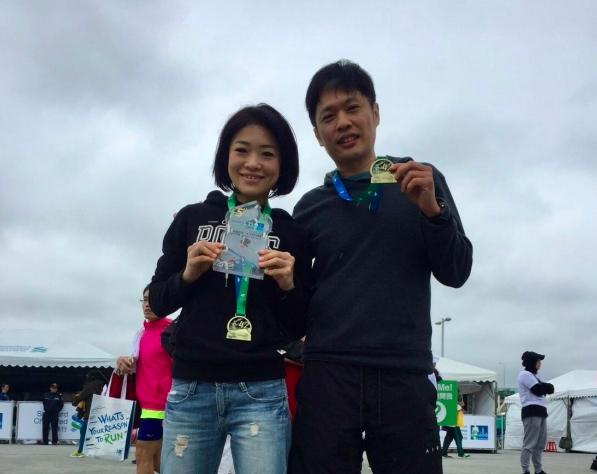 She set her eyes on running a timing well under the BQ mark – a sub 3 hour 25 minutes marathon. Read More: Abbott World Marathon Majors – 6 Races EVERY RUNNER OUGHT To Check Out! As Usain Bolt would put it, the race part is the easy part, what you don’t see – the training, the tears, the sweat, the blood, that’s the hard part. So she knew she needed to buck up in training to hit a sub 3:25:00 marathon. She knew dreams require sacrifice – so how far are you willing to go to hit your dreams? She had to strike a good balance between – work, family and training. She incorporated speed work into her training. She sacrificed sleep to do her long runs on the weekend. She was discipline with foam rollong and stretching to prevent her from incurring any possible injuries. Although it sounds exhausting, but she said she never once felt tired. Because she knew with every step she took, she was getting herself one step closer to her dream. 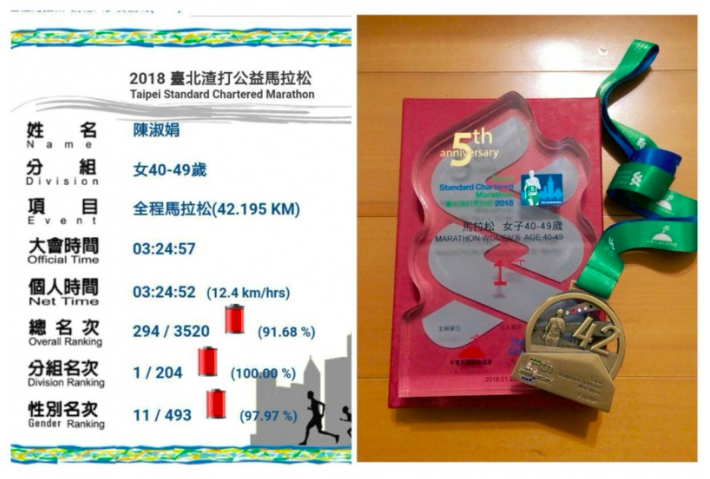 The weather was cooling on race day – Standard Chartered Taipei Marathon. She told herself to trust her training, trust the process, and results willl naturally speak for itself. The first 30 km went according to plan. But after the 30 km mark, fatigue started to settle in. Her pace dropped slighlty. However, a sub 3:25:00 was still possible if she could maintain her pace for the final 12 kilometers. She wasn’t ready to give up. Her boyfriend, knowing how important this run was to her decided to pace her. He encouraged her, reminded her to fuel and hydrate herself – and it was his act of putting aside his own goals that pushed her to not give up. 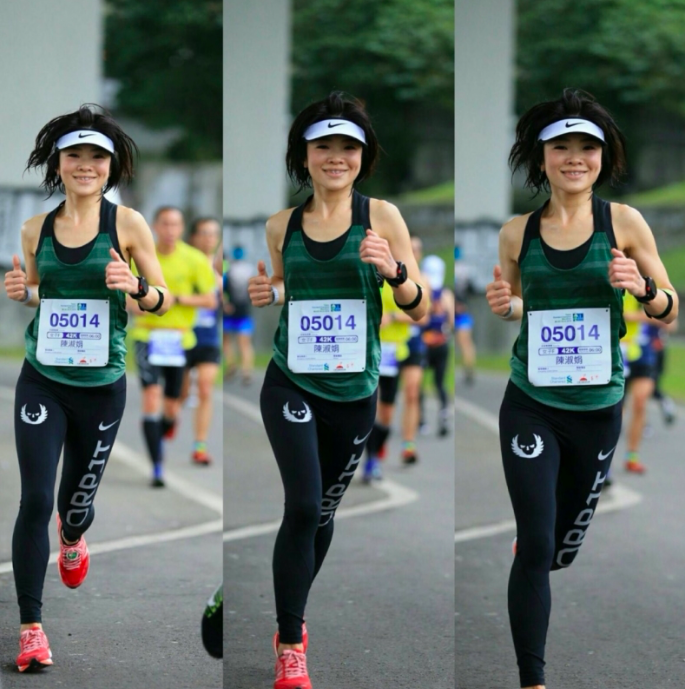 She ran the Standard Chartered Taipei Marathon in an impressive 3:24:57 (Gun time). What a stellar run with a brand new personal best. And that’s her ticket to Boston! So, remember, it’s never too late to start chasing your dreams. You just need to start!